While researching NEMA 4X, stainless steel computer enclosures, Scotts discovered ITSENCLOSURES through an online search. The Scotts employee downloaded various spec/data sheets of products that could work for their needs, and ITSENCLOSURES followed up to see if Scotts would like pricing breakdowns of products with accessories. 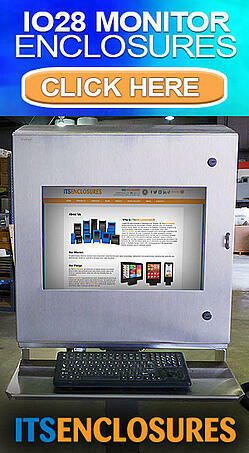 Scotts was seeking an updated solution similar to existing enclosures deployed throughout the plant and machine shop. 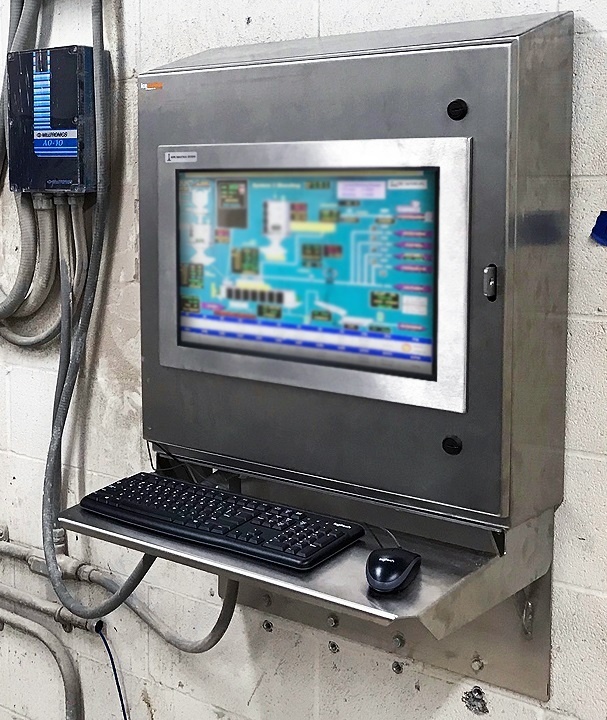 After evaluating the electronics that would be installed, Scotts required a combination of flat panel monitor enclosures - which can house 22-inch panel mount touchscreens and another set of enclosures to house barcode label printers. Some areas require NEMA 4X protection (hose directed fluids, corrosive materials, dust, and dirt) and other areas needed NEMA 12 protection against just dust and dirt. Because of the production of various lawn care products, the overall Scotts environment is quite dusty. Some areas also require regular washdowns and are most suitable for a stainless steel, NEMA 4X enclosure. To make the most of space, Scotts wished to have a small footprint enclosure, rather than a free-standing enclosure. Scotts initially purchased an IO28-4X and PB20-12 enclosure to test at the facility. They continued to purchase additional enclosures for evaluation before deciding to exclusively use the IO28-4X enclosure on the production line. The stainless steel IO28-4X enclosures are mounted to the wall (with the IceStation IOUMB) or on a bolt down pedestal (AP3343). For areas that do not require much cleaning, but still require protection against dust, Scott’s deployed IO28-04 enclosures. Scotts also utilized the PB20-12 mounted on both bolt down and mobile pedestals (AMP3343). Over the past couple years, Scotts deployed over 40 enclosures, which included the IO28-4X, IO28-04, and PB20-12. They are pleased with ITSENCLOSURES’ ability to quickly deliver heavy-duty enclosure products - with minimal assembly required to get the system up and running quickly.